During SIHH 2018, Paneria unveiled a host of exciting new timepieces, including new 38 and 42mm Panerai Luminor Due watches — with great new interchangeable strap system. Characterized by the much-loved circular bezel on the cushion-cornered square case, the new Luminor Due watches are offered in stainless steel or 18-karat 5 N rose gold, each housing the OPXXXIV Manufacture movement with date window, small seconds indication and three days of power reserve. Dial colors on the Luminor Due 3 Days Automatic Acciaio watches include anthracite gray, ivory, and the rose gold version features a black sandwich style dial and black alligator strap. The movement is visible via a sapphire crystal caseback on some models, and the watches are water resistant to 30 meters. The limited-edition Chinese Fu rose gold version (with black sandwich dial) features a solid caseback with plum flowers and peonies (the Chinese symbols for luck, life, prosperity) engraved on it. 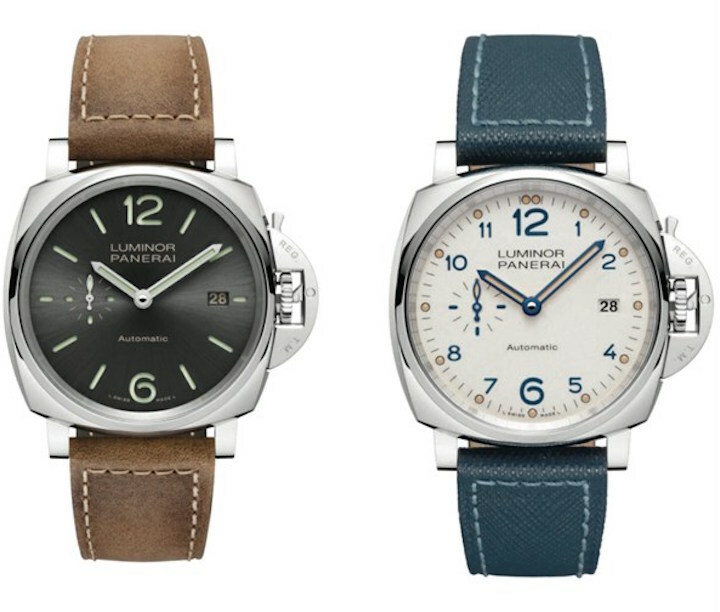 As with all Panerai Luminor watches, the dial features luminous hour markers or dot markers and large numerals. The two stainless steel models retail for $6,000, while the rose gold versions sell for $13,500. 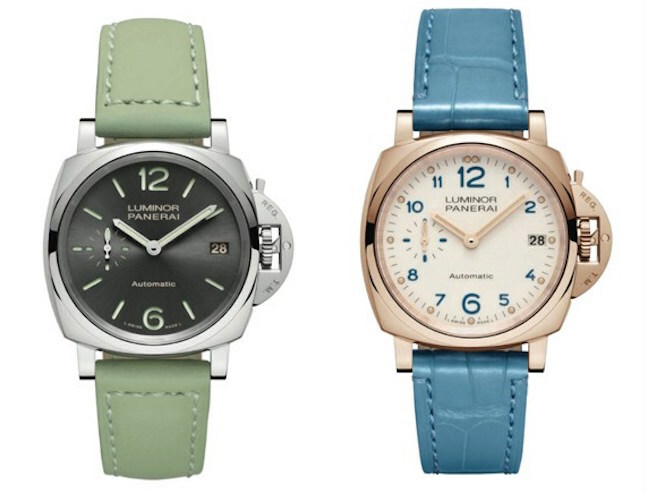 A host of great strap colors for the new interchangeable system make the new watch irresistible. They include mint green, light blue alligator, rich blue saffiano leather, brown and a host of other hues. Panerai demonstrated its newest patented interchangeable strap system for the Due watches, so that we could capture a great video of the ease of use. Check it out. ← Retail Building Blocks In America: Bucherer Acquires Tourneau — What Does It Mean For American Retail?